Usually, the Oscars highlight the chasm between Hollywood's elite and the tastes of average Americans. But not this year. With the 2011 awards set to be handed out on Sunday, many of the nominees for Best Picture are also popular hits. Toy Story 3, for instance, has grossed more than $1.06 billion and topped the box office last year, according to Box Office Mojo. Other nominees fared well with moviegoers, posting respectable grosses. Even nominees that struggled to find an audience in the U.S. made money because of strong oversees sales (see gallery below). The Kids are All Right, which starred Annette Benning and Julianne Moore (as lesbian mothers whose children meet the sperm donor who fathered them), earned $29.5 million. Box Office Mojo estimates that the film cost $4 million to make, which is a nice return in any business. Danny Boyle, who gained fame for Slumdog Millionaire, worked hard to find a U.S. audience for 127 Hours, a nominated drama about a man who finds himself trapped during a mountaineering expedition. It stars James Franco, one of the hosts of the Oscar telecast. The film, which cost about $18 million to produce, has earned $17.5 million domestically but has fared better overseas where it has grossed $25.4 million more. Another art house favorite, Winter's Bone, grossed $7.97 million and cost $2 million to make. See which films are going head-to-head in the best picture category. "While there are always films and actors overlooked by the Academy, this year strikes me as being better than most," writes Vogue film critic John Powers in an email. "For Best Picture, 9 of the 10 films were critical and popular hits (Winter's Bone by the standards of small indies about the Ozarks, but still a hit). . . . As I say, this is one of the rare years when critics and paying audiences backed the nominees. Certainly a blockbuster like Inception is a far more interesting movie than, say, The Reader or Revolutionary Road to take a couple of other recent, high prestige examples. Oddly enough, in recent years, the Academy's taste has appeared to have gotten better and a bit edgier -- witness The Hurt Locker winning last year." This is, of course, great news for the Academy of Motion Picture Arts & Sciences, which recently extended its contract with Walt Disney (DIS) to carry the show through 2020. 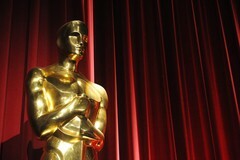 Ratings, which were up 14% in 2010, may be strong again this year because of the popularity of the Best Picture nominees. The wild card on the broadcast will be Franco and co-host Anne Hathaway, two of Hollywood's brightest young stars stars, who unlike many previous hosts, aren't comedians. However, as Carrie Rickey of the Philadelphia Inquirer notes, noncomedians have often proved to be more successful hosts than professional funny people. It may turn out to be a shrewd bit of casting. "When the Oscar organizers picked Franco and Hathaway to be the fresh faces of the show, little did they know that 45% of the acting nominees would be 40 and younger," Rickey writes. "Not only are the hosts a draw for younger audiences, but so, conceivably, are nominees like Christian Bale [The Fighter] (37), Natalie Portman [Black Swan] (29), Jennifer Lawrence [Winter's Bone] (20) and Hailee Steinfeld [True Grit]. . . . Will youth attract youth? Maybe not to the broadcast itself, but certainly to Tivo, YouTube and allied downloads." The Oscars remain in this multichannel, multiplatformed media world a mainstay of American popular culture much like the Super Bowl (complete with a heightened focus on the broadcast's advertisements). This year's broadcast has something for everyone, even for viewers who are paid to watch the show. "Since the Oscars are part of my job, weirdly enough, I look forward to them with the mixture of dread, resignation and excitement that come with any big work assignment," writes New York Times film critic A.O. Scott in an email. "I'm curious about how Franco and Hathaway -- both capable performers but not professional comedians will do, though I think the viewership depends more on the movies than the hosts."